Hi, I recently tried the RRF again. 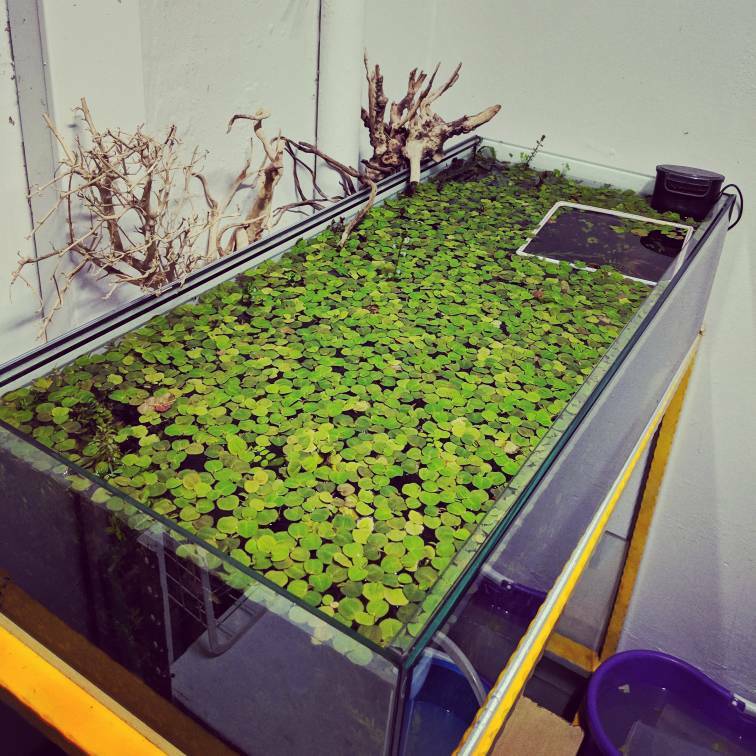 Currently, I have them in 2 setups: one lotus tank which gets sun from morning till noon, and a normal low tech tank in the room with LED lights. Both grow pretty well but just that the leaves are turning up green and not the nice red I see. I dose normal fert and iron supplement. Wonder if anyone has experience in keeping them red can share their experience. BTW, I got them from Petmart in Serangoon North, if anyone wants to know. They are pretty popular so call before hand if you need to travel extensively. Under full day sun, your floaters leaves should turn pretty red and produce tiny white flowers. Thanks, I will continue to monitor. Just to update if anyone came here to look for answers. My RRF are starting to colour up in the tank out in the sun. It seems the initial new growth when introduced to a new environment are normally green. The other one growth is slower and the growth are still green. They do very well in high lighting. I was initially concerned that they require a cooler temperature, but it does not seem to be the case for me. RRF can grow very fast as well. Giving good lighting, it would turn red beautifully. I need to clear RRF every 2 weeks. I want... can gimme some? Next batch I give you bro. Will inform here if anyone want.